"If you want to see where organizational communications aregoing in the future, heed what these pioneers have writtentoday." "Lipnack and Stamps have written an important book for thetwenty-first-century corporation." "This book provides a long overdue perspective on how to applythe discipline of real teams in the fast-moving, increasinglydispersed information age of the future." "For those who want to lead the movement, catch up with it, orsimply know where it is going, this book is packed with usefulinformation and interesting stories." 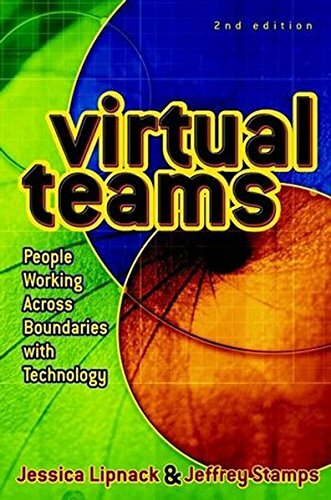 "Virtual Teams provides valuable insights into globalteamwork and management through network technologies now availableto all companies, large or small." —Jim Lynch, director, corporate quality, Sun Microsystems,Inc.